A Delaware man was sentenced to two years in prison Wednesday morning for choking and threatening the woman he was living with earlier this year. 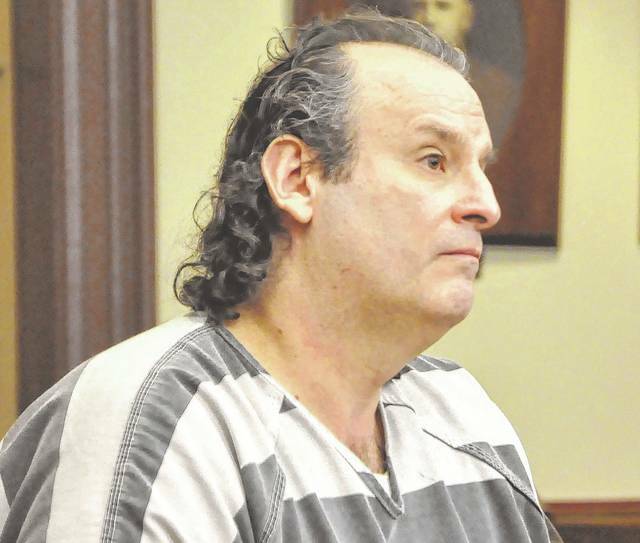 Roger Allen Madison, 48, appeared in Delaware County Common Pleas Court to be sentenced on one count of felonious assault, a second-degree felony. Madison pleaded guilty to the charge at a change of plea hearing on July 6 and said that on Feb. 5, he got into an argument with a woman that was living with him. Madison said that during the argument, he slapped her, and yanked her shirt off. Prosecutors reported the victim stated that Madison had strangled her and said City of Delaware Police officers noticed marks around the woman’s neck. At the change of plea hearing, Madison claimed the marks on her neck occurred when he pulled her shirt off. Prosecutors also reported the victim told police that Madison threatened to “cut her into little pieces” during the incident. Madison then pleaded guilty to the charge as part of a plea agreement with prosecutors. As part of the agreement, prosecutors and Madison’s defense attorney, Todd Workman, would jointly recommend two years in prison. At the sentence hearing, Workman said that Madison is not a violent person, but is an alcoholic. “It’s pretty clear the real problem here is alcohol,” Workman said. Workman said that throughout the case Madison has been “polite and likeable” because he has been sober. Madison also spoke to Delaware County Common Pleas Judge David Gormley during the hearing and said he was “sorry this happened.” Madison said he and the victim both had problems and said having their problems together didn’t work. Madison said that he has started an alcohol treatment program and was optimistic about his future. “I’m confident I’ll do well after I get out of jail,” Madison said. Assistant County Prosecutor Andrew Bigler said he has spoken to the victim about the plea agreement and said she approved of the joint recommendation of a two-year prison sentence. The victim was not in court Wednesday. After hearing from both parties and reviewing the pre-sentence report, Gormley went along with the joint recommendation and sentenced Madison to two years in prison for the felonious assault charge. Gormley then credited Madison the 186 days he spent in the Delaware County Jail during the case. Madison remained in the Delaware County Jail Wednesday awaiting transport to prison.